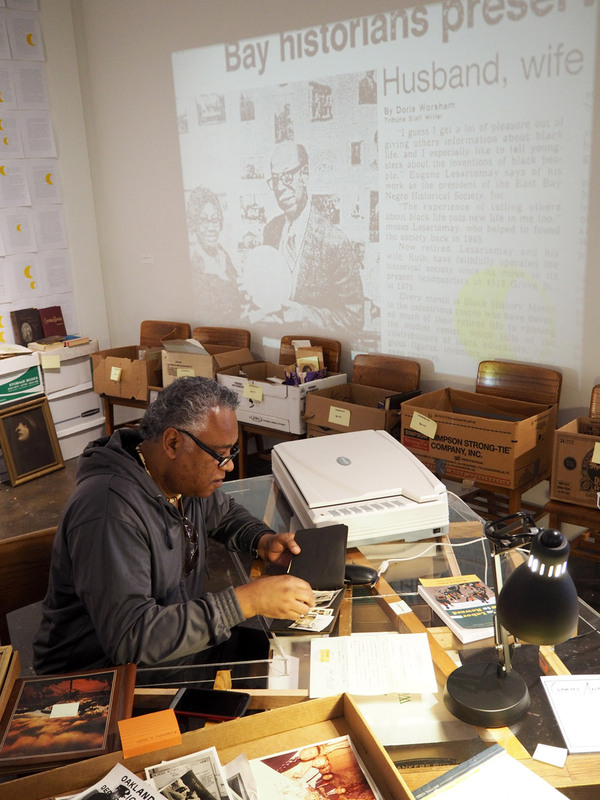 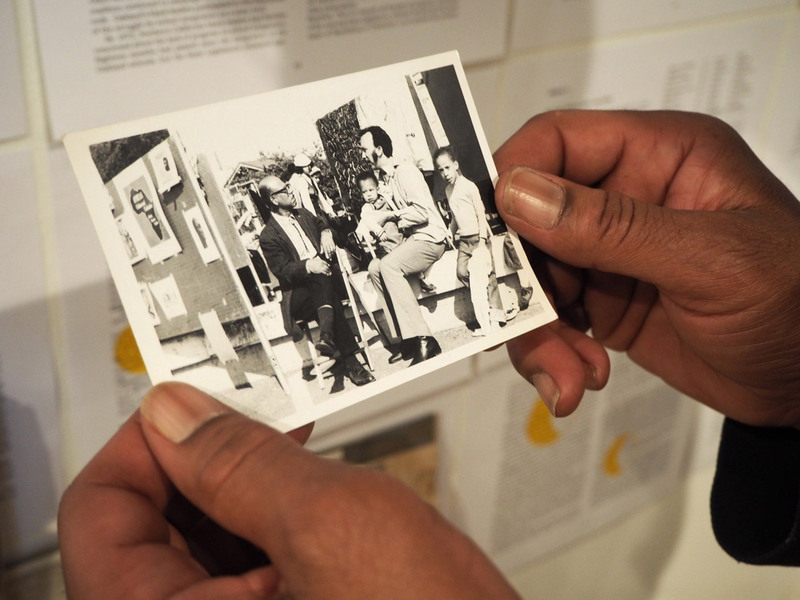 Starting In the mid-1940s, Eugene and Ruth Lasartemay collected artifacts from their community to celebrate Bay Area African American achievements. 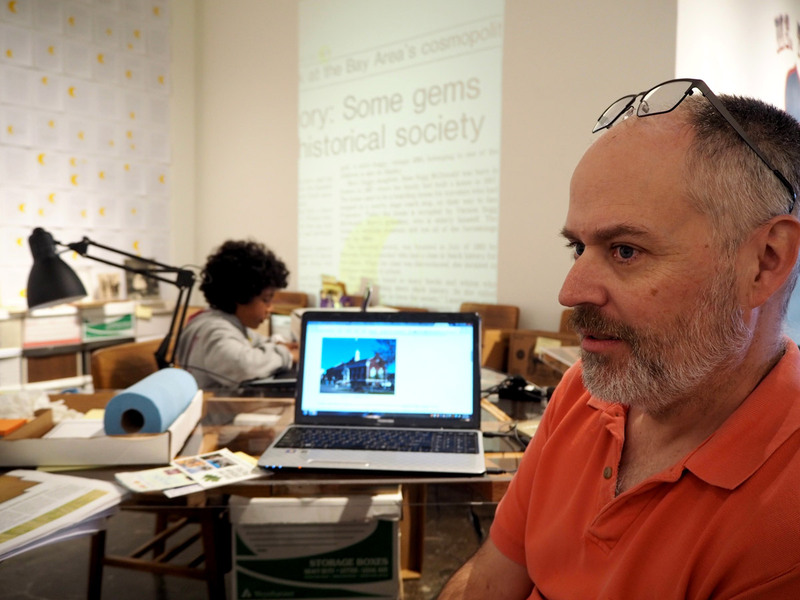 This groundbreaking work inspired Commons Archive, a participatory neighborhood archive at the Golden Gate Branch Library in North Oakland. 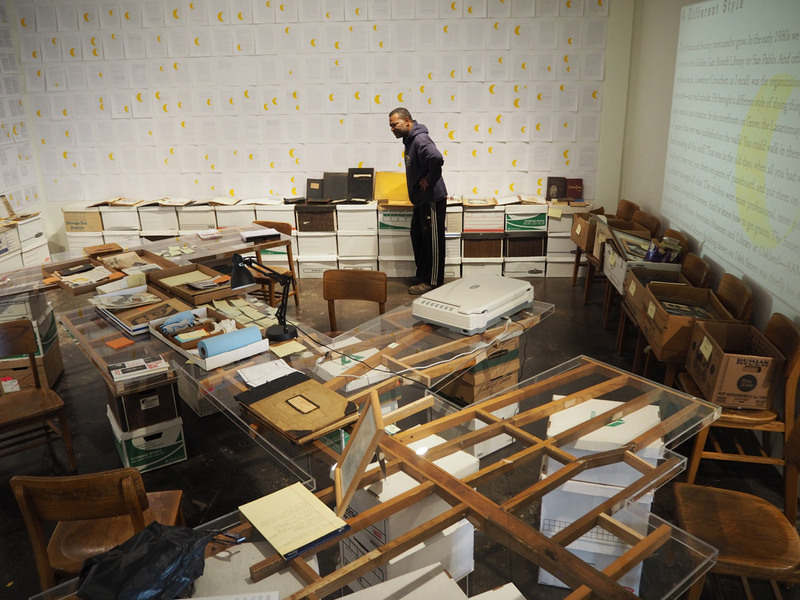 The Lasartemays' grandson generously loaned his family's materials for this installation. 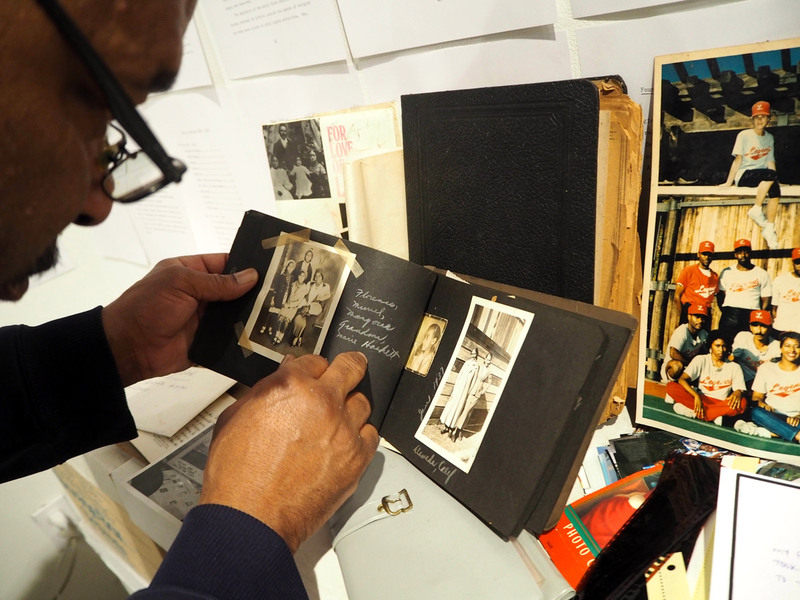 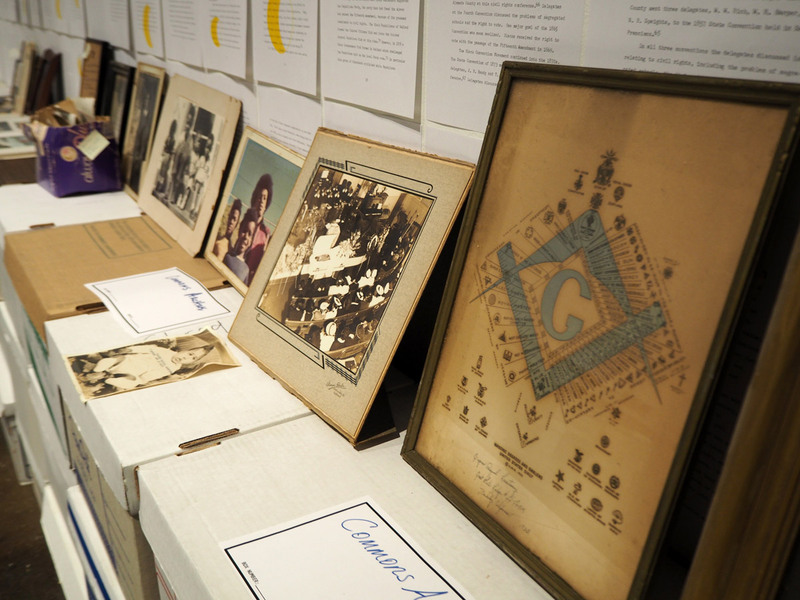 Mark Lasartemay met weekly with marksearch to unpack and annotate photos, clippings, journals, and memorabilia. 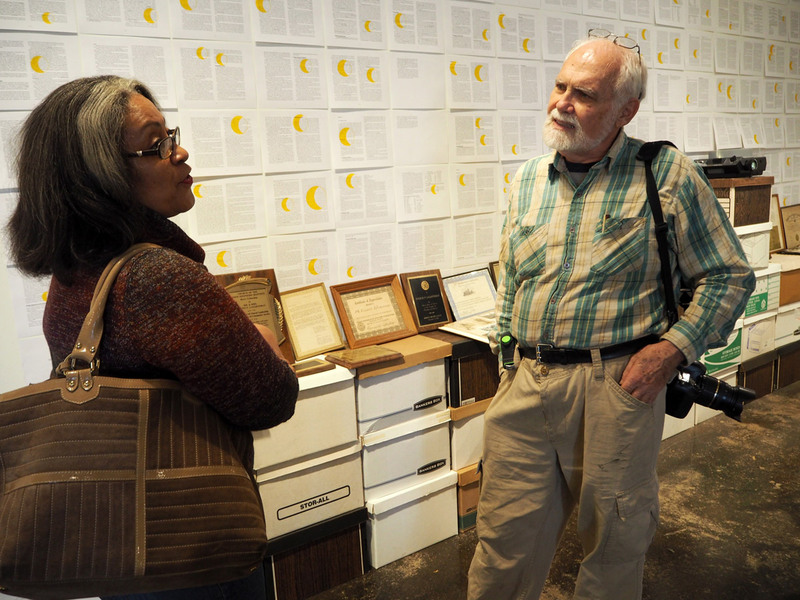 Pivotal unpublished papers about African Americans in Oakland (1880s-1980s) written by a retired librarian lined the gallery walls. 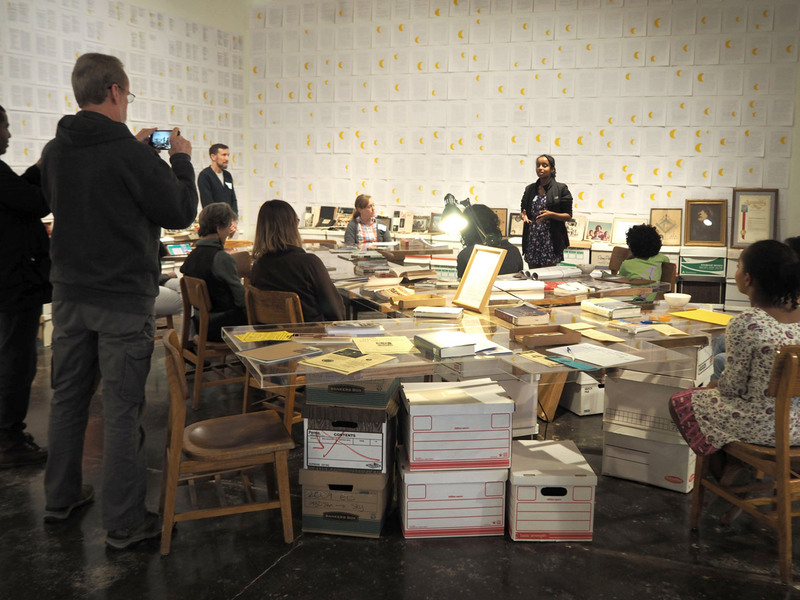 The 18-foot research table's armature, constructed from repurposed library furniture, maps the library branch's service area. 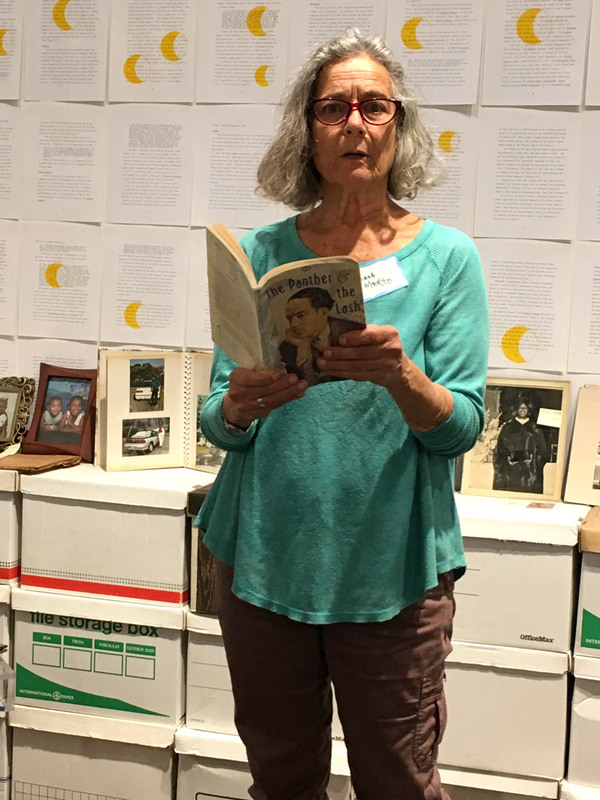 Additional events at the gallery included a Read-In co-sponsored by the Oakland Public Library and a Story Share co-sponsored by the Oakland Wiki.